We, at Dassault Systèmes India, are hosting the second edition of the regional adaptation of the global megatrend event ‘Manufacturing in the Age of Experience’ at the ITC Grand Chola, Chennai on June 6th, 2018. Last year, we hosted the event at our 3DPLM facilities in Hinjewadi, Pune and connected to automobile, aerospace and industrial engineering companies in the region. 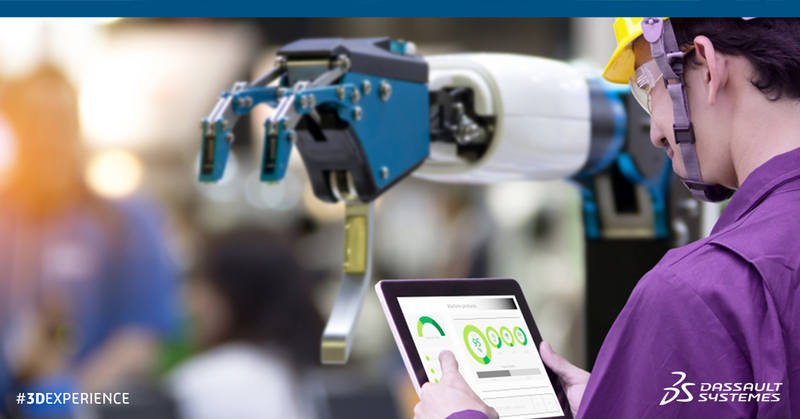 Our attempt is to take this megatrend event to multiple manufacturing hubs across the country in the future, connect with audiences locally and showcase the value of the 3DEXPERIENCE platform. At the ‘Manufacturing in the Age of Experience’ this year Dassault Systèmes India will showcase a complete landscape of its offerings and plans for the manufacturing industry. We are living in an experience economy. In this era of rapid transformation, perspectives change very fast – and the same is equally true about the manufacturing sector. Thus, in this year’s event, we are going to address some of the emerging challenges, deliver insights and provide solutions to them. Dassault Systèmes’ focus on the manufacturing sector is widespread across multiple verticals, such as Transportation & Mobility, Aerospace & Defense, Industrial Equipment and others. With Government of India’s active initiatives like ‘Make in India’, the country is undergoing a metamorphosis as far as its versatile manufacturing sector is concerned; therefore in this year’s event, we reinforce our focus on Smart Manufacturing, which is very closely associated with Industry 4.0 framework. Of late Digitalization has been the buzzword in the manufacturing world all over. We, at Dassault Systèmes, are completely geared up to further boost the Digitalization journey with the 3DEXPERIENCE TWIN. With the emergence of a new business-friendly scenario in the country, today, on one hand, many new factories are coming up and on the other hand, a large number of manufacturing companies are considering installation of production facilities or assembly lines for new product development. However, whether it is a brownfield or greenfield investment, planning from the scratch will be a time-consuming affair leading to over expenditure. Our 3DEXPERIENCE TWIN will drastically cut down the time frame and lead to a substantial cost saving – as it allows the entire planning, simulation, testing and validation in the virtual form. Several eminent speakers including users and consultants from the manufacturing arena will deliver their experience through their in-depth presentations at the event. The list of Dassault Systèmes speakers include Mr. Olivier Lahaye, WW VP of the DELMIA brand who will provide a glimpse into the future of manufacturing, Mr. Denis Georgeon, WW VP of Strategic Alliances who will talk about agile manufacturing and Mr. Samson Khaou, MD, India will welcome the audience and provide a perspective on addressing new rules laid by game-changing 4th Industrial Revolution. We also have a strong portfolio of industry and customer speakers. The keynote will be delivered by Mr. KM Mandanna of Ashok Leyland on disruptive approach in Manufacturing while Mr. Rohit Srivastava of VECV will discuss the success of Digital Manufacturing in VECV. We also have Girish Warrier of Accenture India showcasing Digitalization in a leading transportation company while Mr. Chandrashekar from Ashok Leyland will share with us how Digital Manufacturing plays a role in modularization. The plenary will end with a demonstration of 3DEXPERIENCE TWIN. Post the plenary, the event will also showcase applications of the 3DEXPERIENCE platform in our 3DEXPERIENCE playground. This is the place where you can have practical demonstrations on the applications that we are specifically introducing in the Indian market. As Indian manufacturing sector has come of age, and today it has a strong presence in the global manufacturing domain, the time has come when India needs to embrace agility, flexibility, and scalability in its manufacturing units. We at Dassault Systèmes are all set to present the best technologies of the world to you. Please join us in the event, see the real changes that we are making and be successful in your manufacturing venture – beating global competition. Def Expo 2018 – A Launchpad or A damp squib?